Mama Pea has done it again, she has released another family friendly cookbook. 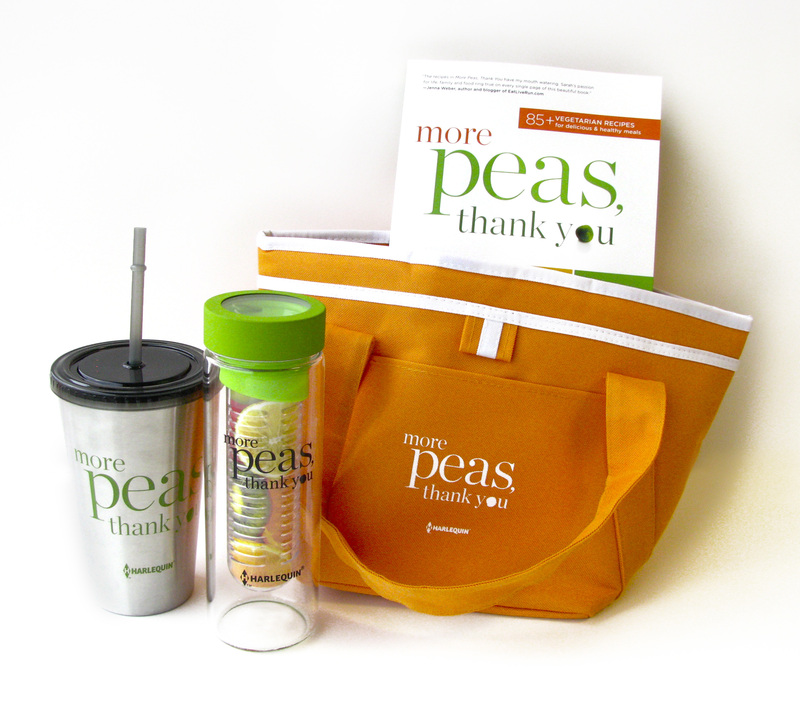 As a new mom I am always on the lookout for tasty, healthy and quick recipes to create for my family and More Peas, Thank You has all three of these components. Not only is this cookbook filled with scrumptious recipes it is also filled with Sarah’s humorous writing. I mean really, how many cookbooks can you read and find yourself rolling on the floor in laughter. This book is filled with a ton of really great recipes including her famous MMMM Sauce which we have been making on a regular basis over here. It is also filled with tasty recipes that you haven’t seen before like this one for Sunrise Smoothies. 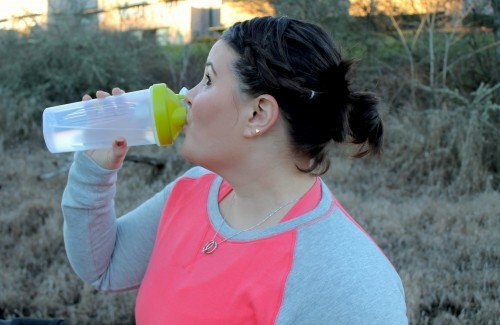 This recipe is husband, mama and baby approved. 1. In a blender, combine strawberries, apple juice and sweetener, if using. 2. Pour strawberry smoothie carefully into 4 glasses, and transfer glasses to freezer for 10 to 15 minutes to allow strawberry layer to set. 3. Rinse out blender and put in mango, pineapple, orange juice and sweetener, if using. Blend until smooth. 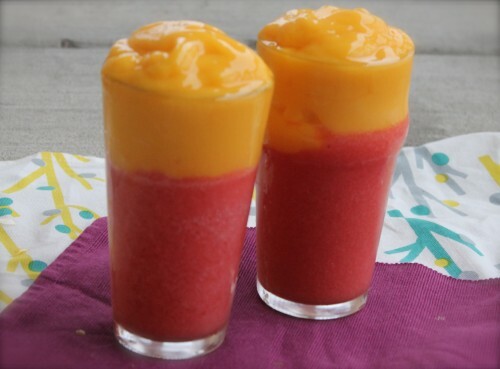 Remove glasses from freezer and carefully pour mango smoothie into each one to achieve a layered effect. 4. Garnish with a fresh strawberry and serve. Optional ingredients and toppings not included in analysis. The longer you let the strawberry layer set, the more distinct the divide will be between the layers. You can also make these in Popsicle molds for a two-tone frozen summer treat. 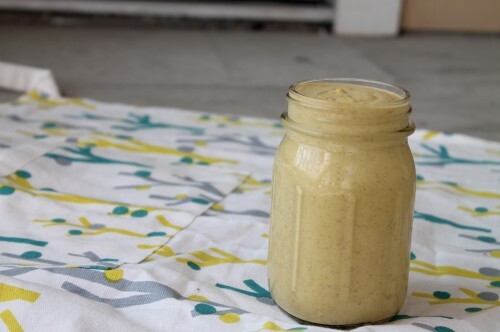 In addition to this Sunrise Smoothie we have enjoyed the Quinoa-Zucchini Lasagna and MMMM Sauce in various forms (mac and mmm, with steamed veggies and rice, on toast). 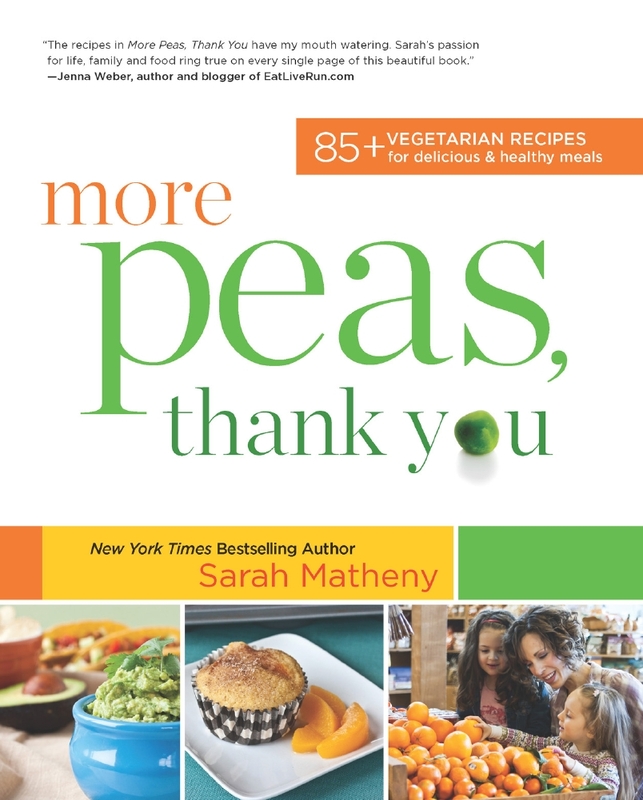 So far we have enjoyed everything we have made from More Peas, Thank You and I am planning to keep this cookbook in my rotation. One lucky winner will win this package but first you have to enter! Disclaimer: I was provided with a review copy of More Peas, Thank You. All opinions are my own. Oh that smoothie looks amazing. I am really excited to try it. 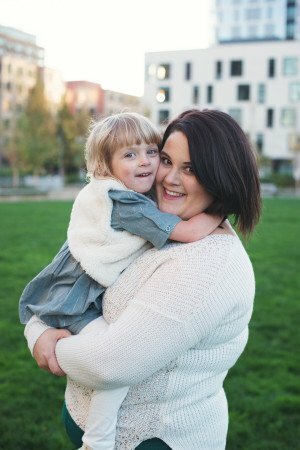 I am so glad to have discovered your blog!